Savvy homeowners are wise to consider kitchen remodeling categories where they can save a little here, to spend more over there. If you love your kitchen layout, cabinet boxes are in good shape and all you want is a little cabinet paint or refinishing touch-up - you may get excited about all the money you can "save" with a DIY cabinet painting project. However, before you get too excited, it's worth weighing the pros and cons carefully. Cabinets typically comprise the most visual square-footage in the kitchen, so the last thing you want is an unprofessional paint job that - at best, doesn't look good and - at worst, causes you to forgo all the time and energy you just spent to have them professionally repainted or refaced anyway. Really take the time to weigh the pros and cons before diving in to a DIY paint job and - truly - if you're a stickler for details and/or you don't have a tremendous amount of time and patience - you're not a candidate for this project! The costs go way down when you paint your own cabinets because guess where the bulk of the money goes when you get them painted professionally? That's right—labor charges! It's incredibly time consuming to repaint kitchen cabinets because of the removal/replacement of the cabinet doors, drawers and hardware, taping, hinge removal, etc. etc. So while those cans of paint only cost professional painters double- or triple-digits, labor costs will typically add up to quadruple-digits. 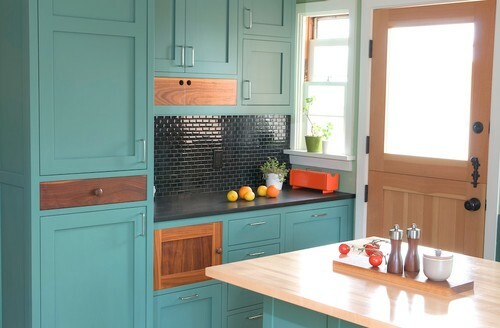 Of course, if you save money by repainting cabinets, you get to spend more money elsewhere in the kitchen remodeling budget - and that's always a plus. Bonus Tip: Is budget an issue for you? 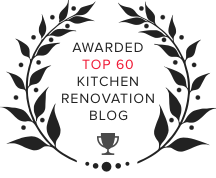 Read, Kitchen Design on a Budget: Take the Phased Approach. As we mentioned above, the simple act of repainting cabinets gives your kitchen a major visual boost with one, fell swoop. Before you even think about repainting your own cabinets, make sure they can be re-painted in the first-place. If cabinet/doors are at all warped, chipped or damaged - a fresh coat of paint will look better but flaws may become even more evident. Also, cabinets with dramatic grain patterns can be impossible to paint if you want to hide grain detail completely. It takes a long time to paint kitchen cabinets in a way that looks professional, streak-free and solid. You must remove everything, label everything, sand everything, prime everything, tape everything, paint everything, allow it all to dry completely, paint everything more - and then you reverse the process to put it all back again. Are you truly committed to that? It's worth pondering before leaping. Unless you like the look of brush strokes (and inevitably stuck-on brush hairs), you'll need a spray gun - which is what the pros use. Unfortunately, it requires some know-how and finesse to achieve a lasting, professional look. The reality is that no matter how careful you are (here are DIY Cabinet Paint Instructions), DIY cabinet paint is never as durable as its professional counterpart. 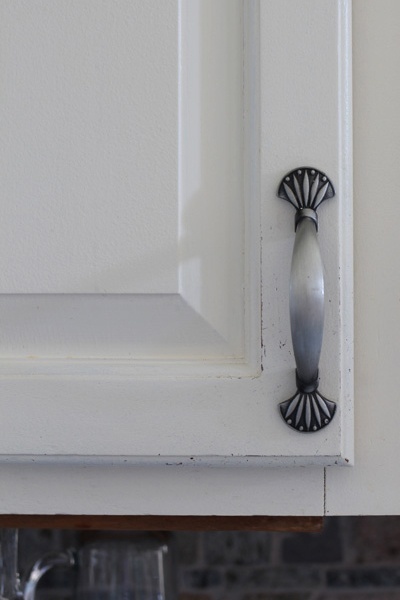 Your newly-painted cabinet doors will chip, crack and scuff again faster than they would have otherwise. 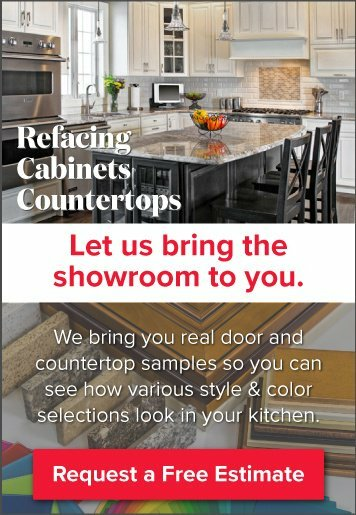 Have you Considered Cabinet Refacing? Did you know you can reface cabinetry for half the cost of replacing it? 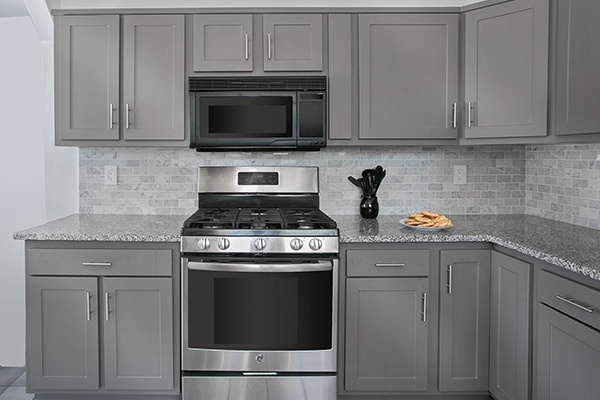 Refacing may cost more than DIY repainting, but it's only half the cost of replacing your cabinets and provides long-lasting, durable results that should be backed by a warranty. Cabinet refacing offers many of the benefits of cabinet painting, with far less of the downsides.